Today is Thankful Thursday again and today I am so thankful for how God has been working in and through me! A friend of mine posted this beautiful song on Facebook today and it fits the way I have been feeling for the past couple of weeks. I am so thankful that God has opened my eyes to the work of His hands!! There are so many exciting things happening and I am patiently waiting in expectation of the things He has in store for us as we travel to Uganda in 24 day and 23 hours!! (I do have it down to the minutes also on my google ticker!) Can you tell I am excited???? I can't wait to share some things that I know will be happening while we are gone, but you will have to stay tuned for that!! It is super exciting to me! God is good!!! I am doing an online Bible study on the book of Psalms by Wendy Pope from Proverbs 31 Ministries. We are taking it slow and only doing one chapter a week, but I am loving it. It really makes you think. She is calling every Thursday "Thankful Thursday" and we are supposed to tell one thing that we are thankful for. I have really struggled with my 50th birthday and have really had a BIG stinky attitude for the last 2 - 3 weeks about it. I made it very clear that I didn't want a big party with lots of gag gifts about being "old". In the last few days, God has really gotten a hold of me and convicted me about my thinking on this matter. Today I am very thankful that He has chosen to leave me here on this earth after a short battle with cancer 8 years ago. Otherwise, I would not have even seen my youngest grandchild, Ella. 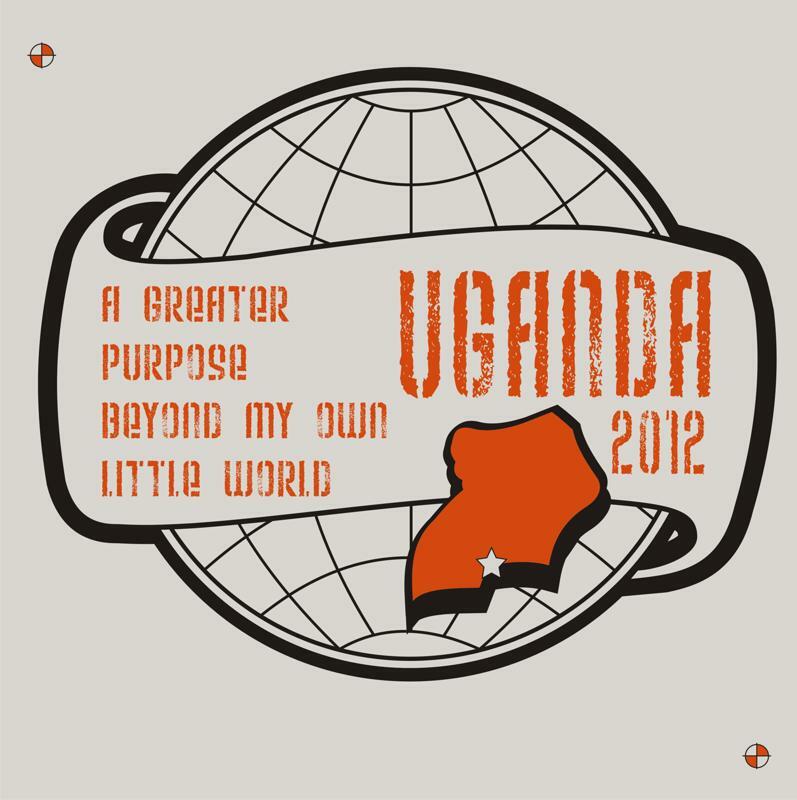 I would never have experienced Uganda, which I have absolutely fallen in love with. I would never have experienced some of the friendships I now enjoy so much. I now realize how blessed I am for being 50 and am praying for many more wonderful years!!! 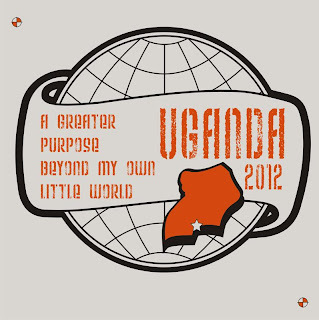 This is the t-shirt design Melvena came up with for our trip to Uganda, that I'm sure was taken from this song. I can't wait to get mine!! And I love this song!! A Great Raffle Give Away!! We are so excited to be going to Africa for the fourth year in a row!!!! We have developed some wonderful relationships with several people that live in Uganda and can't wait to see them again. We are leaving February 27th with a team of nine people that we are excited to share this journey with. In an effort to raise funds for this trip for expenses and projects we are going to raffle off three (yes...3) IPad 2, 3Gs. The cost is 1 ticket for $20 or 2 tickets for $30. The drawing will be January 31st and tickets will be available at the Tin Lion Coffeehouse or you can contact any of the team members for tickets. Team members include: Justin and I, Don Neufeld, Leon Neufeld, Melvena Ewald, Ashlee Bohnet, Debbie Whiteneck and Gary and Shari Rowe. We appreciate your support!!!! This is a book I have been reading about the life and ministry of Katie Davis. She is an amazing young woman, who has given her life to go and live and minister to the people of Uganda. She was only nineteen years old when she chose to say yes to God and move to a third world country, resulting in adopting fourteen young girls and taking care of hundreds of others. She is wise beyond her years. She lives in Jinja and works in the village of Masese where we visited last year. I have never before seen such poverty! She is an inspiration to me and I hope I have the opportunity to meet her when we go to Uganda in February. She is such an example of what God's love is all about, caring for the widows and orphans. 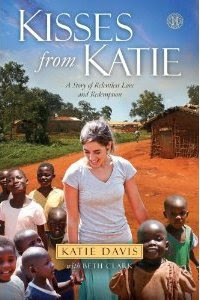 I would highly recommend reading this book if you have ever been to Uganda or if you have a desire to go. In my daily devotions this week, I decided to start reading Revelations. It's something I have avoided, because it is so hard to understand. A lot of people have been talking about the end times since mother nature has surprised us with such weird weather and earthquakes. I think about the second coming often and Justin and I have talked about how close it really must be. I decided to take it really slow and soak it in. My Bible is a New International Life Application and it has a commentary at the bottom. I have been reading everything that is written and it has really helped. Yet I hold this against you: You have forsaken your first love. Remember the height from which you have fallen! Repent and do the things you did at first. If you do not repent , I will come to you and remove your lampstand from it's place. The commentary said: In the first steps of your Christian life, you may have had enthusiasm without knowledge. Do you now have knowledge without enthusiasm? Both are necessary if we are to keep love for God intense and untarnished. Do you love God with the same fervor as when you were a new Christian? My desire is to be an enthusiastic follower of God and really love the person that is front of me and be a reflection of Him. Really made me think today. How enthusiastic am I? My favorite food in the whole world is Mexican! I have made chicken enchiladas several times, but today I decided to get a little creative and try something different. Here is what I came up with! It was amazing, even if I say so myself!! Melt the butter on low and then stir in the flour and stir until smooth. Slowly add the chicken broth and keep stirring until it is thick and bubbly. Remove it from the heat and add the sour cream and jalepenos`. Pour half of the sauce in the bottom of a 13X9 baking dish. Chop an onion and 3 to 4 cloves of garlic and probably a half of a bag of baby spinach (rough chop) and saute` in a small amount of butter until the spinach is slightly wilted. Add the shredded chicken and sprinkle with Cumin (about 1 teaspoon). Dip corn tortillas in hot grease and fill with chicken mixture and a small amount of Monterey Jack cheese. Pour the remaining sauce on top and bake at 425 degrees for 15 minutes. Add a layer of Jack cheese and bake until just browned. After working with my Dad for 28 years, I am enjoying life as a stay at home wife of a fun-loving, witty, wonderful man. I have 3 very handsome, grown sons, 2 awesome daughter-in-laws and 2 beautiful grandaughters. I am really enjoying this time in my life.